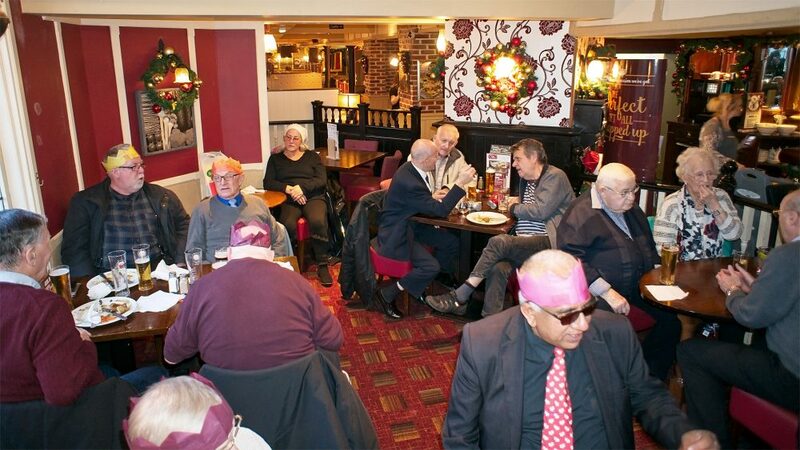 On Tuesday 12th Dec Tower Hamlets Community Transport picked up the Geezers from Bow and took us to The Eagle, Snaresbrook. We had excellent three course meals for a very reasonable price. There was a huge range of starters, main courses and sweets, and we were looked after very well. You can see their menu here. On my table we discussed many of the knotty problems of the day, including what might happen when everybody is unemployed, and their jobs are done by robots. To maintain income the government will need to ensure that the robots all have National Insurance numbers and pay tax. The robots will also need to save for their old age to replace worn out parts. What happens if they form a union and go on strike? 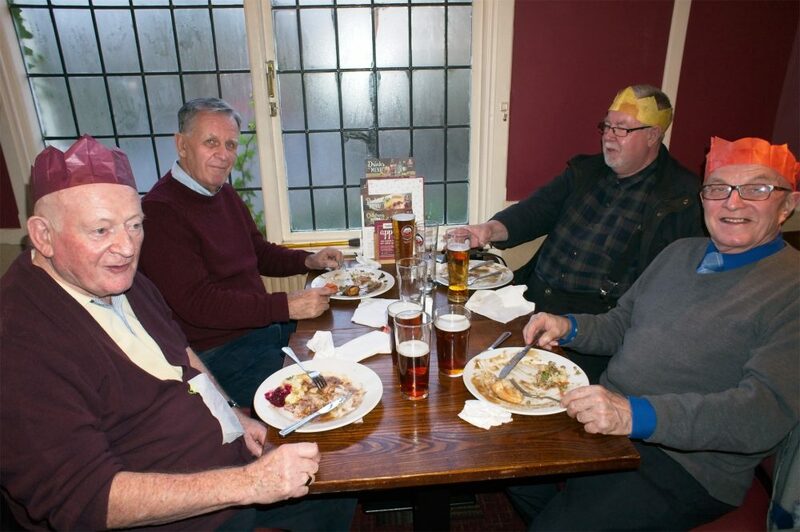 We had a brilliant time in The Eagle. We were joined by Andy Porter (our former webmaster and current fundraiser) and Kate Angus of Age UK, both of whom do a lot of work, often behind the scenes, to keep the Geezers club running so well. A great afternoon. See how we cleared our plates. Ray.